Iran's most famed and feared judge has sentenced around 4,000 people to death, more than any other judge in the country’s history. This powerful documentary offers unique access into the professional and private lives of Iran's most feared legal official. 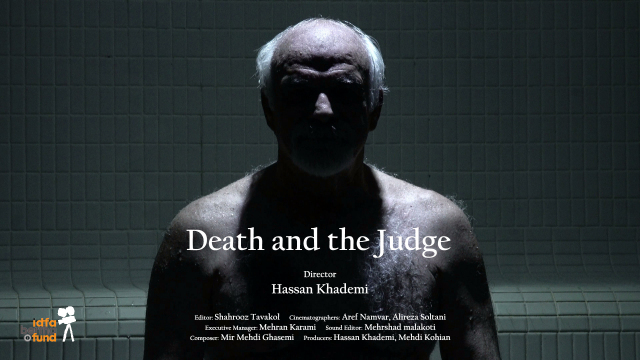 It constructs an intimate yet chilling portrait of a man who spends his days confronting decisions about life and death, both in the court room and in the course of his own life. 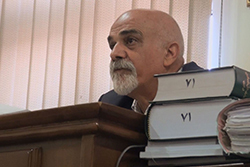 Hassan Khademi completed his Master Degree in Sociology (M.A) at the University of Tehran. He then qualified from The Association of Young Cinematographers. Hassan’s interest in filmmaking falls mainly into subjects related to social issues. 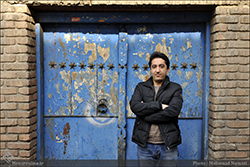 His debut documentary, Rapping in Tehran, offers the audience a unique view in the underground culture of Iranian hip hop music, which is still strictly forbidden in the country. Death and the Judge is his second documentary. Director Hassan Khademi has always wondered whether the person who orders the execution of thousands of people is disgusting or whether he is an ordinary person who does his job accurately. Death and the Judge seeks to answer this question. It should be noted that the production of a film in the field of retaliation and execution is very challenging in Iran, and that the director should respect the political and social red lines. It took four years to make the film, during which the film director accompanied the judge.